Basil (Ocimum basilicum) the king of herbs is from the mint family and features a strong sweet earthy aroma. This green beauty has refreshing flavour and is prominent in Italian cuisine among many others. In aromatherapy it helps relieve aching muscles, as an energiser and uplifting and renewing mood enhancer. Its antibacterial properties can help fight odours on food and skin. Some people say it can help with treat nausea, motion sickness and indigestion and can provide relief from colds and act as a stress reliever. 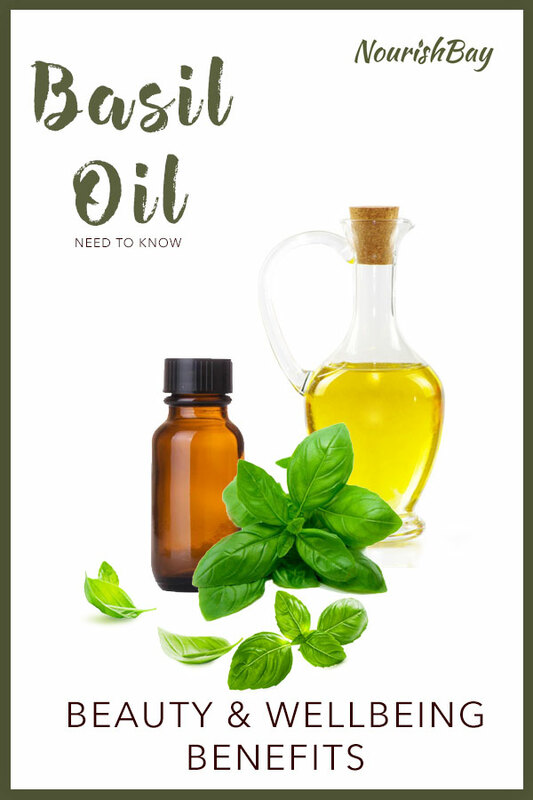 According to research basil oil has been used to help with treating warts, coughs, headaches and more. Benefits come from the flavonoids and volatile oils in basil. Basil contains rich essential oils and high antioxidant activity. According to researchers at Purdue University Basil’s high antioxidant activity is due its phenolics. Basil has vitamin A, K and minerals like iron, calcium, manganese, magnesium, vitamin C and potassium. It is therefore not surprising it has antibacterial qualities. At a Royal Pharmaceutical Society’s annual event a study was presented to show some varieties of basil have been proven to reduce inflammation and swelling. According to research holy basil extracts can prevent damage caused by some free radicals and ageing. Acne: The antibacterial and antifungal agents in basil help prevent acne and pimples and improve skin tone. It can also restrict bacteria causing some skin infections. Natural fragrance: Helps eliminate odours and is uplifting. by Basil the king of herbs contains rich essential oils and antioxidants making it perfect for skincare.